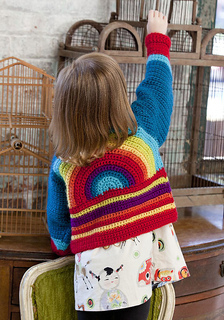 Your favorite toddler will be over the moon in Donna Childs’ Over the Rainbow Toddler Sweater. Crocheted in Vickie’s Stitch. Rock. 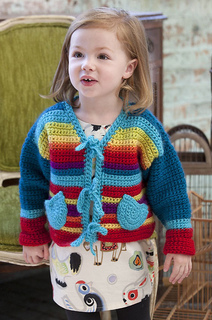 Love Sheep(ish), this adorable sweater features super color, easy tie closures and patch pockets, just the right size for tiny hands. Best of all, the back displays a rainbow of Sheep(ish) colors. 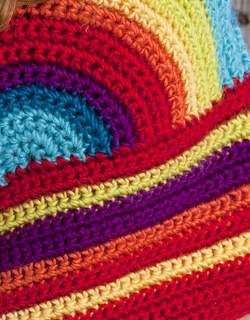 In single crochet, 15 sts = 4 1/2”/11.5cm and 16 rows = 4”/10cm.